How many people can say they've created an alternative pop star, written an x-rated song about private parts and trended above Justin Bieber on Twitter? Step forward live artist Bryony Kimmings! We first saw Bryony performing at Bestival earlier this year and instantly knew we had to get her involved in our Women With Something To Say campaign. The lucky audience at our Faber Social event, Life's Too Short To Shy, were treated to a typically no-holds-barred, hilarious performance that even included The Fanny Song - trust us, once heard, it's never forgotten. When we asked Bryony to design her very own Speech Bubble Necklace, she didn't hestitate. 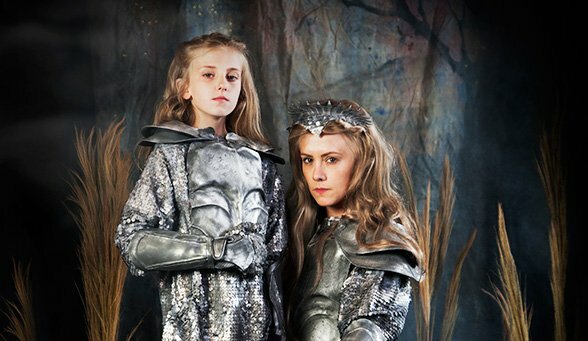 Credible Likeable Superstar Role Model is the title of the theatre show Bryony created with her nine year old niece Taylor in response to the oversexualisation of tweenagers. Her solution? Inventing an alternative pop star and vowing to make her more famous than Jessie J! Catherine Bennett is a dinosaur-loving, bike-riding, tuna pasta-eating hero who splits her time between palaeontology and taking over the pop world. Sounds like our kind of gal! Forget duets with rappers - CB (as she's known to her fans) teams up with our favourite avant garde dance troupe Figs in Wigs in the video for her single Animal Kingdom. We love the idea of creating your very own pop star - and we can't get CB's songs out of our head... Now it’s up to you, Tatty fans! 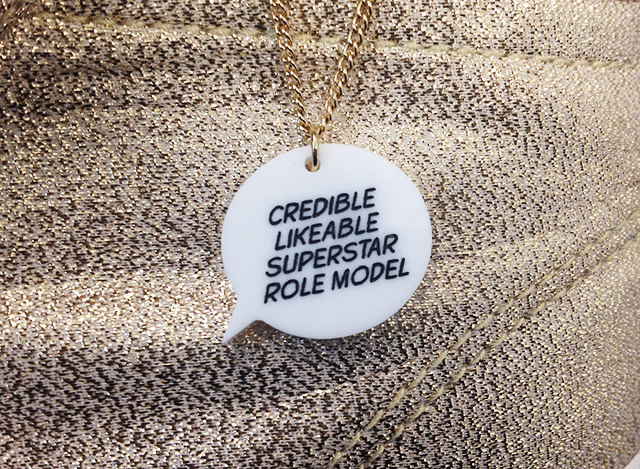 What would your credible likeable superstar role model be like? Share your thoughts with us in the comments below and tweet us using the hashtag #WWSTS! Psst! You can keep up with Bryony's adventures here!